Day 2 of my 5 Days of Homeschooling with Special Needs is “Homeschooling Sensory Seekers.” Although our three children are very different in many ways they do all have one thing in common – sensory seeking. Our oldest is on the Autism Spectrum, and as you may know, many children on the Autism spectrum exhibit sensory related behaviors as well. His are fairly mild in the sensory avoidance area but plentiful in the sensory seeking area. Our daughter and youngest son both have Sensory Processing Disorder (I will be sharing a post soon on how Autism Spectrum and Sensory Processing Disorder are NOT the same) and both have sensory seeking and sensory avoiding behaviors. I’m sure you’re wondering now if our days get pretty crazy. The short answer is “yes.” I have to be very in tune with what behaviors are present that day and work with them the best I know how. Sometimes one is having a high sensory day while another isn’t getting enough sensory input. So it CAN be a tough balance, but I just handle each day as they come. Tomorrow I will be covering Sensory Overload. So, what is sensory seeking? Sensory seeking happens when the person (I don’t say child because I have Sensory Processing Disorder as well – it is not limited to just children) isn’t getting enough sensory input. They will act “hyper” as some people may call it because they can’t sit still. They may chew on their pencil, kick their feet a lot, jump out of their seat often, draw all over their paper, and overall have a hard time concentrating. It can be exasperating, but instead of throwing in the towel we should look at ways to accommodate their needs and still make it through the homeschool day. Every person is different, but I want to share some general tips we have found helpful for our household! Many times movement can help with sensory input and still allow them to concentrate on their work. Instead of using a standard chair switch it up to something that can offer that such as: an exercise ball or wiggle seats. I also saw in a store recently a bungee chair. Even a rocking chair or swivel chair may be a good solution if you have one. The important thing is that they are able to move around easily without the need to get out of their chair often. We take a break in between each subject. Sometimes it’s simply a 5 min break or up to 15 minutes if that is what is needed. If I can tell one of our kids is in desperate need of sensory input I will suggest they jump on the trampoline for a few minutes. We have a small indoor trampoline that I got in the fitness aisle of a store, which was more reasonably priced than others I had seen, but it is still a little trampoline. We do also have a large one outside now as well. I don’t generally use the one outside in the middle of our homeschool day (though we will at the end for PE or just to play) because getting them to come back inside can be quite a hassle! If you don’t have a trampoline available you can play quick, high-activity games that get them running and moving! Does your child fidget with or chew on their pencil? Our oldest son does this. Instead of replacing pencils a couple times a week it made more sense to give him things he COULD fidget with and chew on such as: fidgets, chew tubes, a chewable pencil topper, etc. That way he was still getting the input he needs without ruining the pencil and getting the materials from the pencil in his mouth. As I mentioned in my Homeschooling with a Chronic Condition post, it’s not always easy for me to do a lot of hands-on work depending on the day. Luckily, not all days are “bad days,” and a lot of hands-on work is the perfect solution when your child is in need of additional sensory input. Let them get dirty, make a mess, do their work outside, etc. You may feel at first it’s counterproductive, but you’ll learn that the more input they get will also mean better results on their schoolwork as well! The best way to tackle the day when your child is sensory seeking is to have patience. I know this can be a hard one because I, for one, am NOT a patient person overall. I find starting our day with Circle Time and prayer (and some at-home therapy) helps me to gauge their overall “mood” for the day. If I know one, two, or all three are having a day where they need additional sensory input I adjust the day’s plan accordingly and prepare to be patient. I know you’re probably thinking “how do you prepare to be patient?” I simply change my mindset and expectations. There will be a lot of jumping out of chairs, yelling the answer, fidgeting, etc., unless I have fully utilized all the resources above, so I know to be prepared and not instantly correct with sharpness but rather with a reminder and redirection. If I discover I misjudged and needed to include more fidgets, then I do so. I also find praying that I will acknowledge that and move forward to have the best day we can really helps me to not overreact but respond lovingly and with consideration. So where do you get those type of products? NationalAutismResources.com has a variety of products like the products I mentioned. 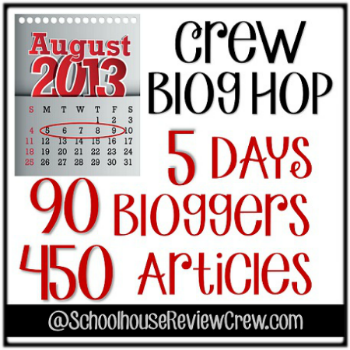 My 5 Days of Homeschooling with Special Needs was meant to be part of a large blog hop by other Schoolhouse Review Crew members. Although my posts are coming very late, you can still check out the blog hop by clicking on the picture below! 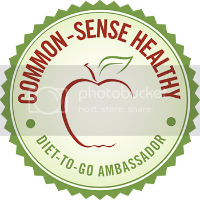 Many different topics were covered, and I know you will find something amazing! I don’t know much about Sensory Processing Disorder, so it was really great to learn something new. Thanks for sharing! Someone that I work with has sensory disorder and she has one of those bouncy ball chairs – it helps her get the input she needs so she can keep working through the day! Those chairs are amazing! We plan to get them as well when we can! Thank you for the tips. Great post. Thank you for sharing. Those are good ideas. And I think it would work with younger kids as well as those with special needs. Thanks for the tips! These are wonderful tips! I’ve been thinking about getting one of those balls for my girls and homework time! Yes! That is on my wish list for all three children, but we just haven’t been able to budget that purchase yet. I bet it helps a lot! I cannot tell you how thankful I am for this post. I have been struggling homeschooling my SPD child. I don’t know why I didn’t think of taking frequent breaks. I’m so glad you found it helpful. It can definitely be challenging, and taking breaks definitely helps keep the day going without frequent meltdowns! I can use these ideas in my special needs classroom. These are very helpful, taking breaks is a MUST! Absolutely! I’m glad you found them helpful! All kids need different kinds of input and output. Messy can be very good. Actually you have shared good ideas and one can use these ideas in their homeschooling needing remediation. Great blog!! These are good tips and I am glad to be learning about Sensory Processing Disorder. When I think of all the kids I went to school with (in the 70s & early 80s), who probably had conditions like you describe but were just treated as ‘disorderly’ or ‘disruptive’, it makes me so sad. Hopefully, kids today get the attention & help they need to do well. I never knew that this disorder even existed. Thanks for posting about it.